Overall, the watch is in excellent condition. Dial and hands are absolutely flawless. 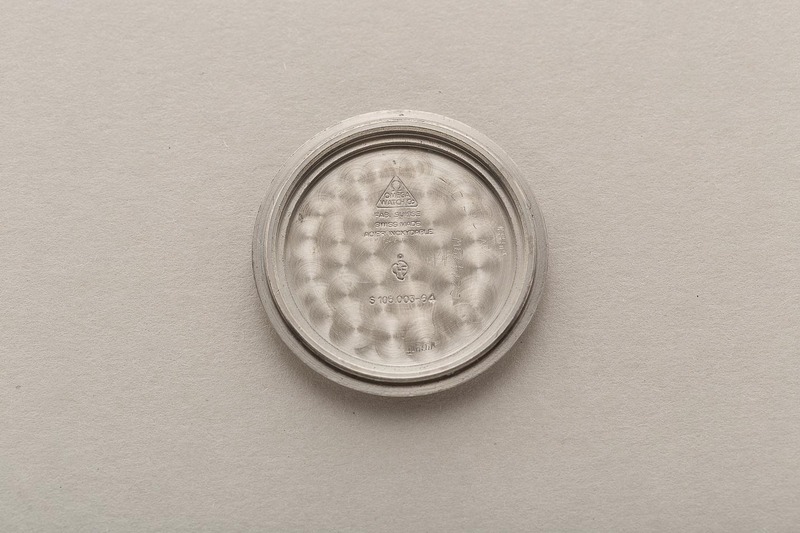 The original luminous mass appears to be in excellent condition, perfectly even under UV light. 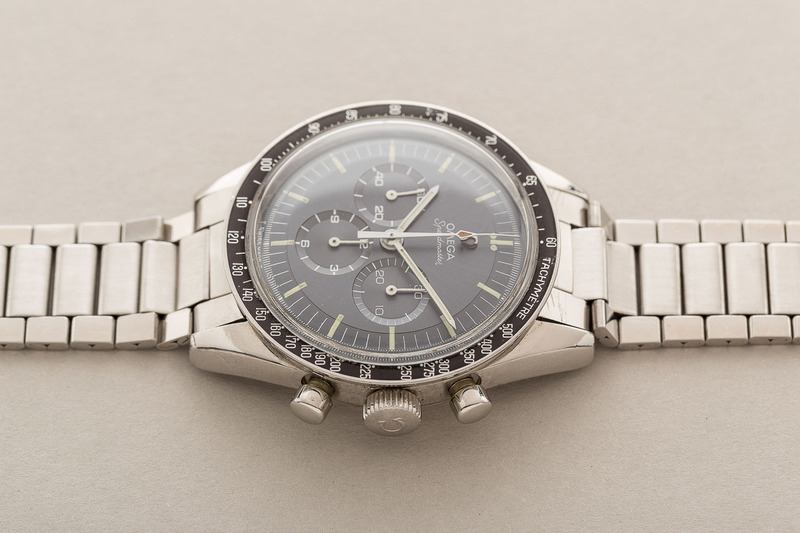 The DO90 bezel is in good condition, showing a chip beneath ‘75’. The characteristic straight lug case is in very good condition, maybe polished once, while preserving the original shape. 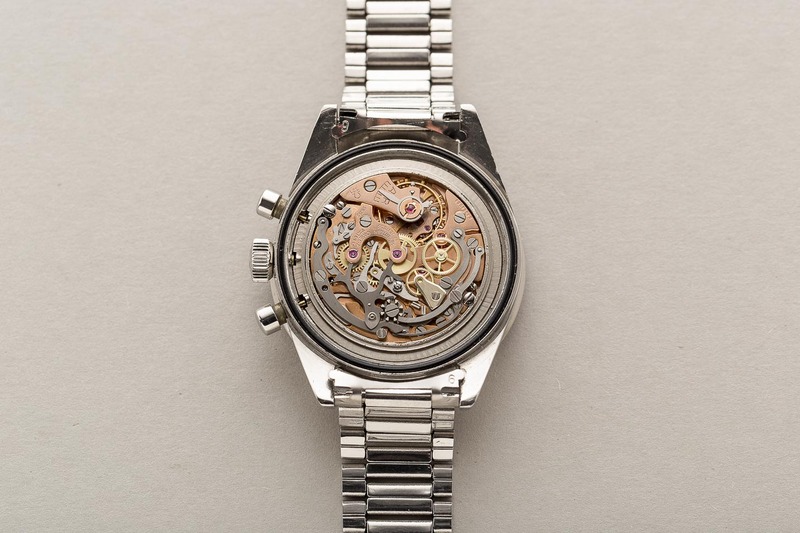 The caseback is in good condition. The bracelet is in very good, tight condition with almost all links. 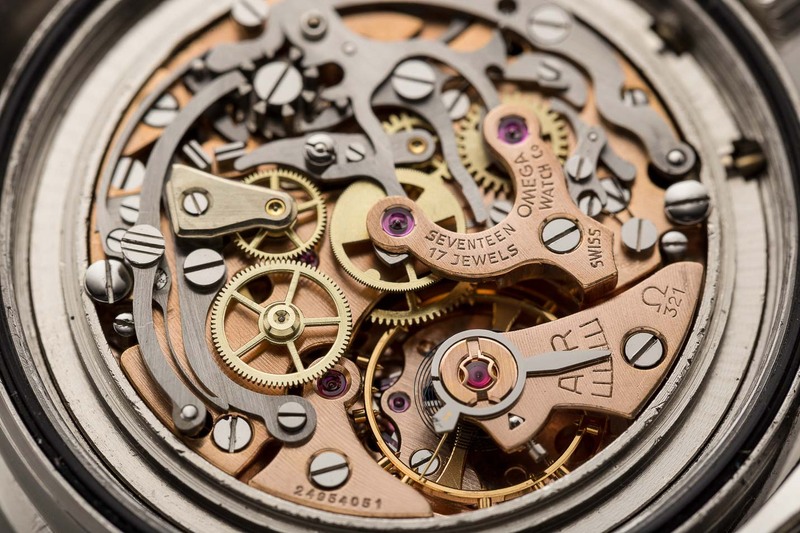 The recently serviced movement is clean, shows a very high amplitude, and works as it should. 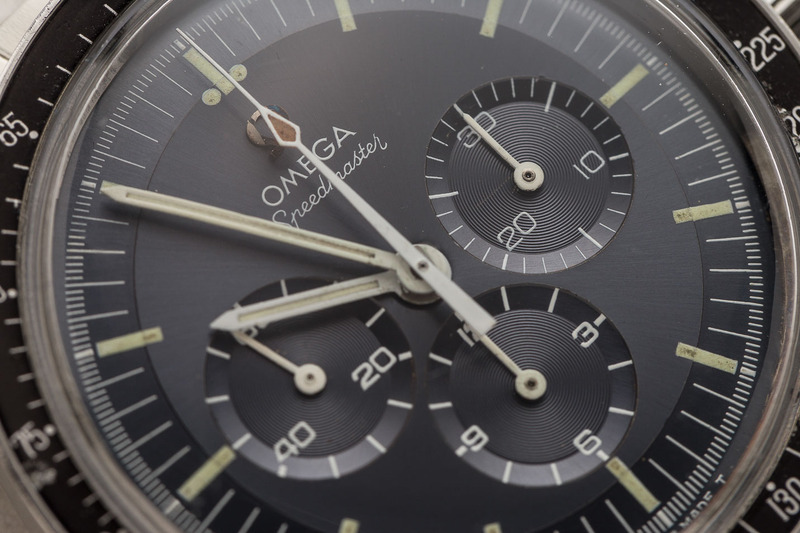 The chronograph starts, stops and resets to zero without issues. The watch is in excellent running condition, keeping accurate time. 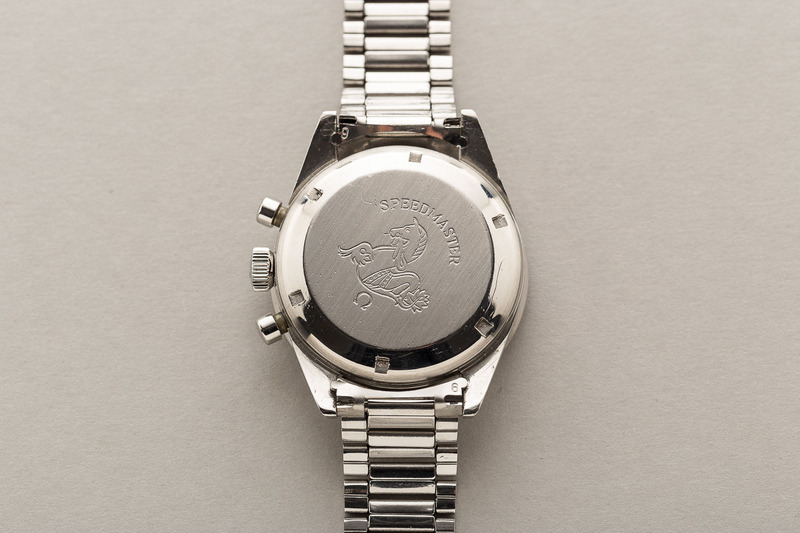 The watch comes with an Omega extract of the archives confirming its origin. Over the years, only a handful of these ‘blue soleil’ prototype dial Speedmasters have resurfaced. 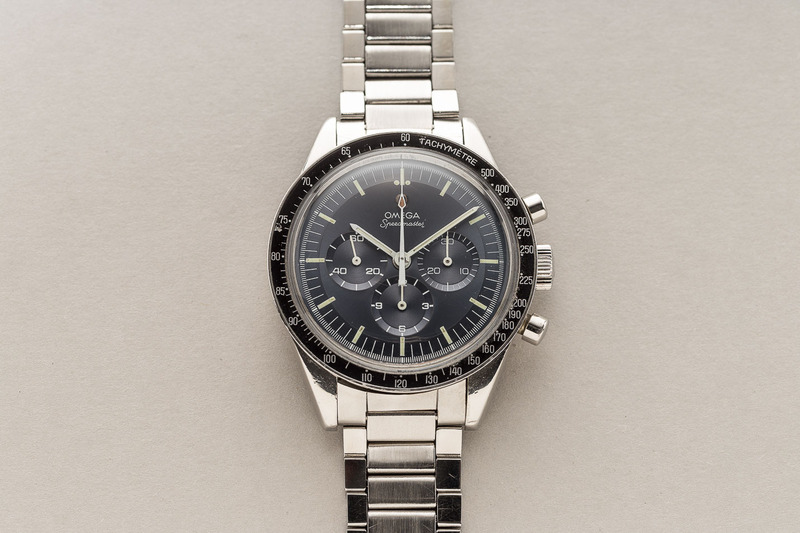 Original examples are all within a very high 105.003 serial number range, just like the watch at hand. 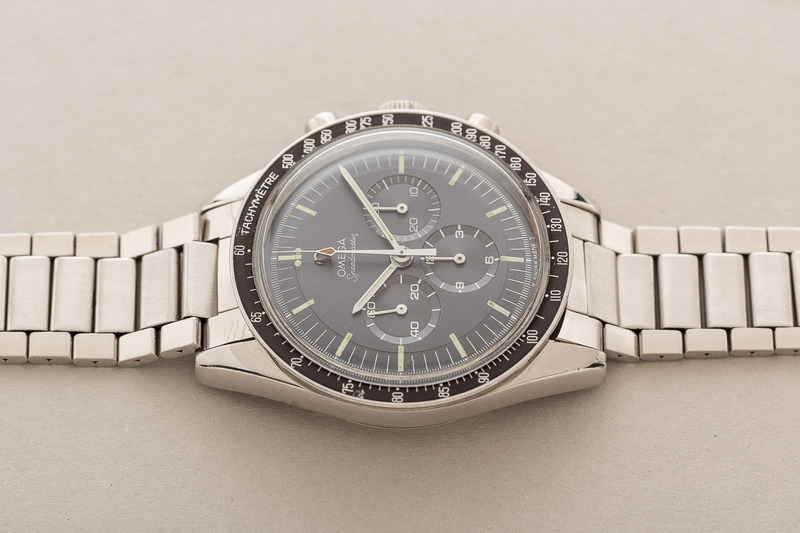 They, most certainly, represent the rarest examples of Omegas iconic Speedmaster line. 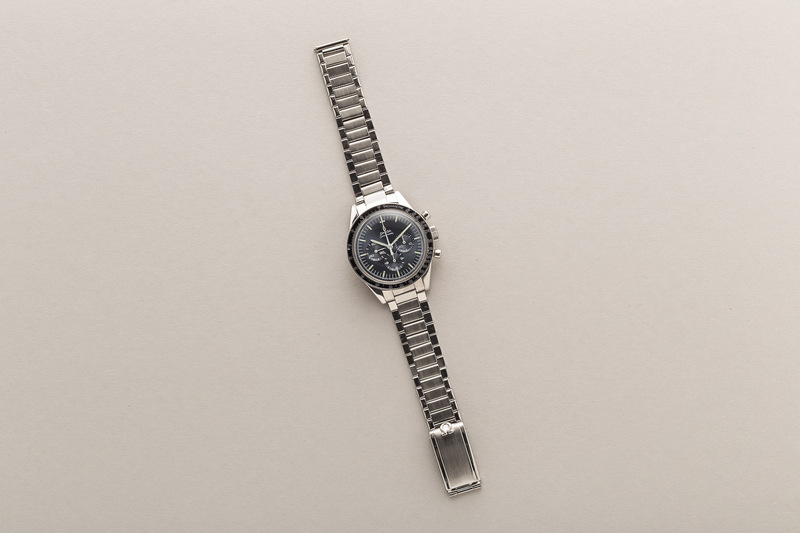 Needless to say, these watches almost never come up for sale.